The problem with people who talk and write for a living is that they always have to say something. Have to. It has to be loud, too, if they want to get hits online or ratings on TV. The formula? Inflame an issue quickly, then boil it down to sound bites that can be defined in clear, black-and-white, up-or-down points against the person sitting at the other side of the table. They are always looking for something, anything, as jumping-off points to start a five-alarm fire. That’s how Caroline Wozniacki was set up Tuesday. She was the patsy in a bogus modern-media frenzy. 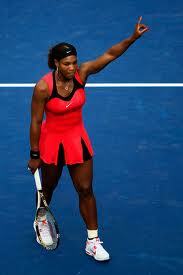 She innocently, jokingly impersonated her friend, Serena Williams, at a tennis exhibition in Brazil. She used a towel to pad her chest to cartoon levels, and another one to pad her rear end. It was possibly racially insensitive, or possibly just funny. Wozniacki was labeled a racist, and it went viral. International. And it was unfair. Her little act was not racist. Insensitive, maybe, but not racist. Maria Sharapova is about to win Wimbledon again, and take over women’s tennis. I wish I felt comfortable with how confidently I just put that. But every sport needs someone on the mountaintop, someone you would say is the best, someone everyone wants to beat. Women’s tennis has no leader, and that’s not just about whether Caroline Wozniacki, ranked No. 1, is a real and deserving champ (She’s not). No, this about the game not having someone that everyone either loves or hates, pulls for or against. Someone with star power, who is noticed when she walks into a room. Women’s tennis is a mish-mash. But in four days, Sharapova will change that, becoming the game’s new leader. Or maybe its old leader, renewed. That’s what the game needs, and is going to get. I’m sure of it. Mostly. 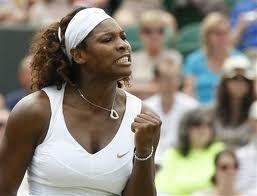 It has been a good Wimbledon for women’s tennis, but not a great one. The game is thirsting for greatness, craving it. Missing it. WIMBLEDON WEEK: Quick Last-Second Hits. Can Rafael Nadal, Serena Williams Both Repeat? Serena Williams: This might not even be that hard. Better beat her early, before she gets momentum. Only concern: When she has trouble catching her breath, will she be able to keep her mind off the blood clots? Prediction: Winner. Rafael Nadal: This “clay court specialist’’ hasn’t lost a match at Wimbledon since 2007. Won’t this year, either. Andy Roddick: Conflicting thoughts. Done winning majors; that’s an awfully nice draw. Last chance? (I’ve probably said that about him before). Venus Williams: Didn’t look that great at Eastbourne. Kind of off-balance. Still good enough to make a deep run, though. Roger Federer: The big-bashers who were pushing him backward aren’t doing well. He might have figured out Novak Djokovic. If Nadal loses before the final, this tournament could be his. If not, it’s not. Caroline Wozniacki: Prove it already. Quarterfinals against Sharapova, good place to start. Prediction: Sharapova. John Isner-Nicolas Mahut: Straight sets for Isner. But stop picking him as a darkhorse. If you can’t return serve, you can’t win Wimbledon. Novak Djokovic has lost one match all year. One. True, it was his most recent one, to Roger Federer at the French Open. So leave it to the typical, negative media to come to his pre-Wimbledon press conference asking about his one-match losing streak. “Novak, I’m sorry if you’ve been asked this question before, since I’m a bit late,’’ the reporter said. “Where are you from?’’ he asked. The reporter was Caroline Wozniacki, who popped in during Djokovic’ press conference Saturday and started asking questions. She and Djokovic are neighbors in Monaco. Djokovic likes to joke around pretty much everywhere. Wozniacki made up some strange story in her Australian Open press conferences about being attacked by a kangaroo, then showed up at a later press conference with boxing gloves and a balloon-kangaroo. No one said they were the best comedians. But as far as comedians go, they are the best tennis players in the world. And for your typical tennis player, they are laugh riots. Here’s how the interview went after Wozniacki’s question about Djokovic’ losing streak. Djokovic: “Yes. From time to time we have coffee there on the beach and just relax and have lunch, have a jog. Djokovic: “Yeah, I know. Monaco press is very popular nowadays. FRENCH OPEN: Caroline Wozniacki Loses Big to Career Choker, Daniela Hantuchova. Could This Start the Fall of Another No. 1? At least Caroline Wozniacki didn’t start crying on the court and openly, loudly, asking why she’s such a chicken. That’s what Dinara Safina did a few years ago, in her classic No. 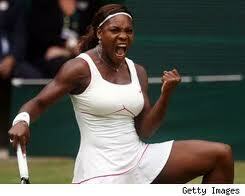 1 women’s tennis meltdown. We’ve seen all sorts of No. 1 players on the women’s tour get to the top and then just blow away like a leaf in the wind. Wozniacki, the current No. 1, lost to career choker Daniela Hantuchova 6-1, 6-3 Friday in the third round of the French Open. It was another embarrassing moment for women’s tennis, but more importantly, I wonder if this was the beginning of the fall of Wozniacki. It’s not that she lacks mental fortitude like Safina. Or Ana Ivanovic. Or Jelena Jankovic. The problem with her is her game. And I’ve gone into it enough times in this space that I won’t spend much time on it now. But she’s way too passive, and doesn’t go out and take anything. She won’t lose to you, but will let you beat her if you are strong enough mentally to bash several shots on the court in a row. That has worked for her, except in majors, because of the nervousness throughout the women’s tour. But the pressure on other players going against Wozniacki has just dropped for good. She lost her mystique with this match. If Hantuchova can hold it together against her for two sets in a major, then anyone can. First set: Zero winners. What’s to be afraid of, anyway? Women’s tennis has a problem. A sport needs to have a champion, someone who is best. Instead, this sport now has a void. A computer has to spit out a name, so it will still say Wozniacki. But she still hasn’t won a major. Serena Williams was best a year ago when she left, but who knows now? And she doesn’t play enough. Kim Clijsters has won the past two majors, so maybe she’s best, but her collapse to a nobody on Wednesday suggests her focus might be slipping, and her future short. We’re still learning about Wozniacki. She tried to become more aggressive in the second set, even drilling a forehand right at Hantuchova once and knocking her off the baseline. Wozniacki came to net a few times, too, but didn’t seem to know how to get there. She tried to do more with her serve. And she hit eight winners in the set.